I have worked with Cannelle Medispa (formerly Cannelle Beaute) for many years. Over the last couple of years they moved in to more advanced aesthetic treatments and we had a second website for this. 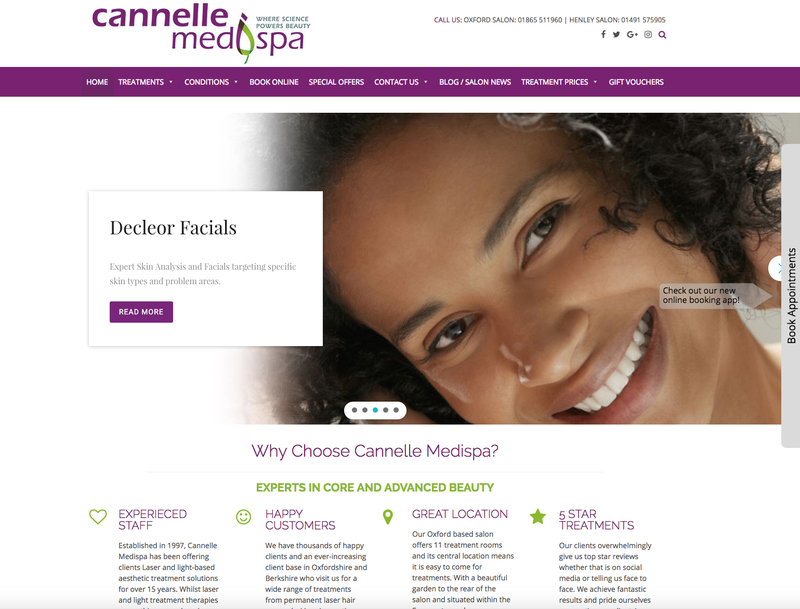 They recently rebranded to Cannelle Medispa so we combined the two websites in to one new site with a clean look and feel. The site is build in WordPress so its easy to manage and includes a blog and online booking facility.